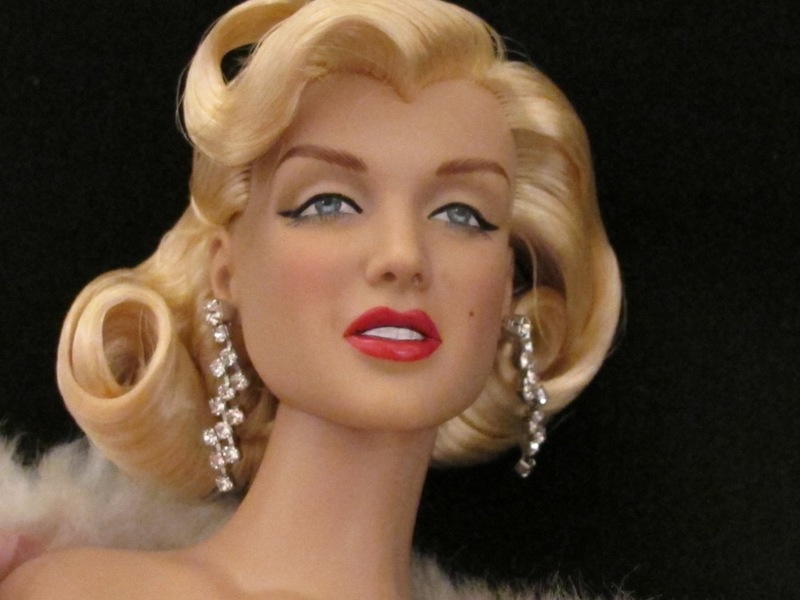 It's hard to resist taking even more photos of Tonner's Marilyn Monroe. 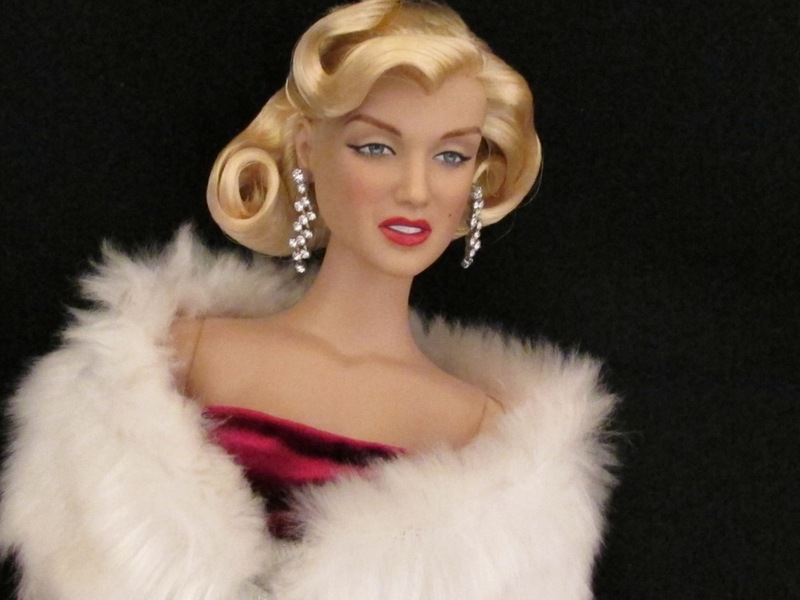 This time she borrowed the outfit from Horsman Urban Vita's My Valentine. The dress fits a bit more snugly around the hips, but because the fabric of the dress is stretchy I was able to get it on her without difficulty (or risk to the dress!). I hope to start taking measurements between my 16 inch fashion dolls soon, and post a comparison chart. This will be mostly for my use as I forge onward in my attempts to be a doll seamstress, but I figure it would be useful information for other folks, too. Newer PostFun Effect To Play With... And It's Free!